When I first took up photography and began to take it seriously, I was lucky enough to have included in the very first books I purchased (in the additional to the usual how-to books on technique): 1) Stephen Shore’s Uncommon Places ; 2) Walker Evan’s American Photographs; ; and 3) Irving Penn’s Worlds in a Small Room . Like the newly born bird who keeps close to those it first lays its eyes on, I have not (for better or worse) strayed too far from these early influences. 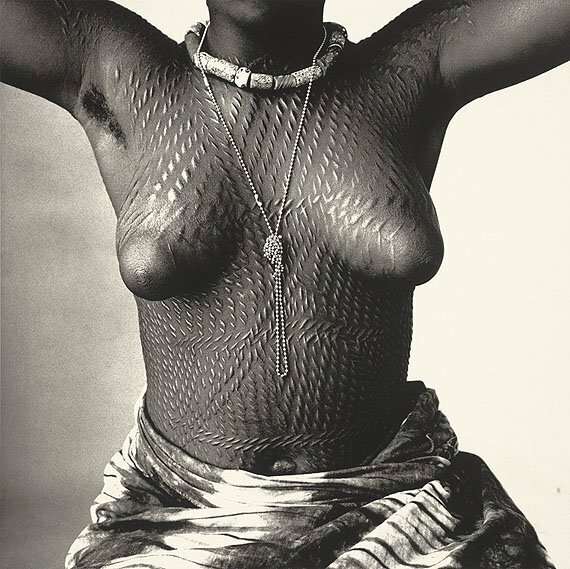 My initial interest in Irving Penn was less about technique and more about subject matter; I found his images of indigenous peoples from many parts of the world fascinating and eye-opening to say the least. It also opened the door to much of his still life, fashion, and editorial work that he did later for the likes of Vogue. It was later on after developing my own interest in alternative/historical processes, and in particular, platinum and palladium printing, that I discovered that Irving Penn was one of the many photographers responsible for the resurgence in interest in these and other historical processes. I have a large bucket list of processes I want to learn and experiment with, including gum printing and albumen printing (I have actually tried this process, but have not quite gotten the hang of it). Moreover, the type of gum printing I want to do is to combine gum printing with platinum that involves adding layers of gum images on top of a platinum or palladium to add elements of color to the underlying platinum print. This is one variation on alternative/historical processes that has likely become much simpler with the onset of digital technology that has allowed us to make digital negatives as well as make the types of color separations in those digital negatives to fine tune the addition of different colors to a platinum or palladium print. Nevertheless, combining multiple negatives to create a single platinum print is a technique that was used by Irving Penn to create a wonderful series of platinum prints. What’s even more interesting and remarkable was that he did this well before the adoption of digital technology to the creating of prints using alternative processes (Irving Penn died in 2009). Penn worked mostly with gelatin silver and color processes, but also experimented with other processes including chromogenic color and silver dye-bleach. In the early 1960s, long before the invention of digital cameras, Penn began experimenting with platinum printing to develop methods that would improve the contrast and complexity he felt that existing platinum prints lacked. Having a background in printing, he created a technique that utilized vacuum presses and pin-registration methods (not used by photographers at that time) to produce prints that required a process of multiples coatings, exposures, and development cycles to achieve prints with the rich blacks and contrast that he felt traditional platinum printing lacked. If you’re not familiar, pin registering involves inserting pins in the printing paper and negatives to ensure that the multiple negatives used in each printing step are in complete alignment. Otherwise, the sharpness that we see in Penn’s prints is impossible. Vacuum presses are used by contact printers (instead of the usual contact printing frames) since they can ensure tighter contact between paper and negative that many believe makes for sharper prints. Since platinum printing is a contact printing process, he also had to go through a process of creating larger negatives from the (often) much smaller 2 ¼ negative obtained from his Rolleiflex. In and of itself, this can be tedious. An article by Mike Ware  describes one way to do this. Penn’s process of making platinum prints from these multiple enlarged negatives is described in a recent Metropolitan Museum video  by former Penn assistant Vasilos Zaste, and Penn’s notes on his platinum printing process are available in a series of notes published by the Art Institute of Chicago and available on their website . 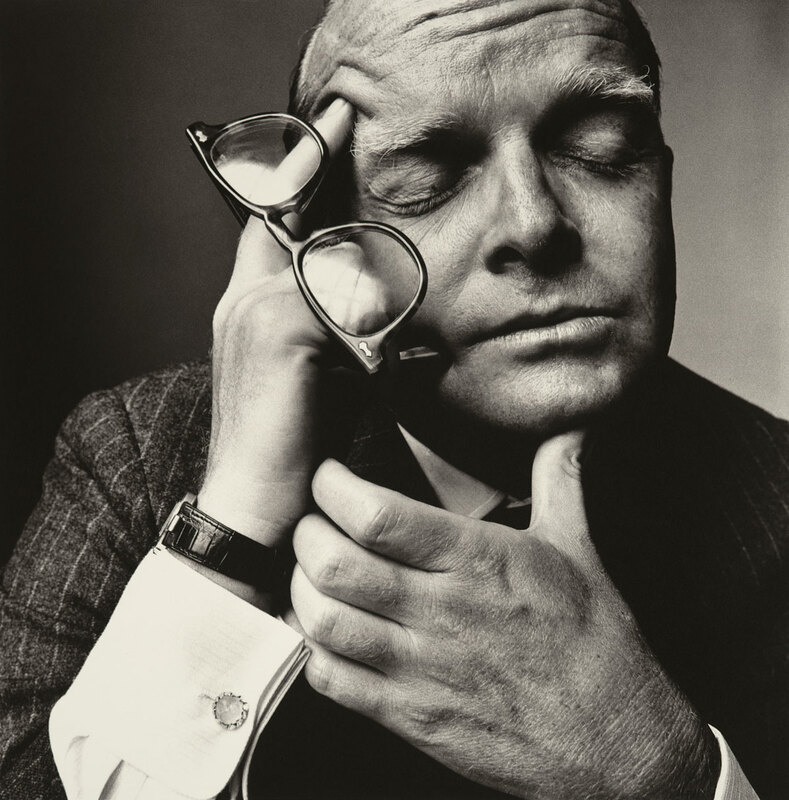 Some of these methods are also discussed in Penn’s highly recommended Irving Penn: Platinum Prints . What’s remarkable was that Irving Penn undertook years of experiments to determine how to calibrate the making of the enlarged negatives and chemical formulae needed to obtain the results he needed. In a throwback to traditional printing methods, this is all largely done by hand.